Moser Slicker Brush | Great Deals on Dog Brushes at zooplus! Very good brush :"Very good buy - I can definately recommend it. I got it for my long hair German Shepherd and it does the job brilliantly. Comfortable handle and smaller size work very well both for my dog and myself." 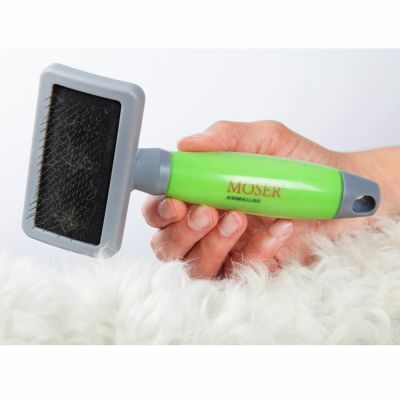 The Moser Slicker Brush removes loose hair, tangles and dirt in your pet’s coat easily and comfortably, due to the fine stainless steel bristles. 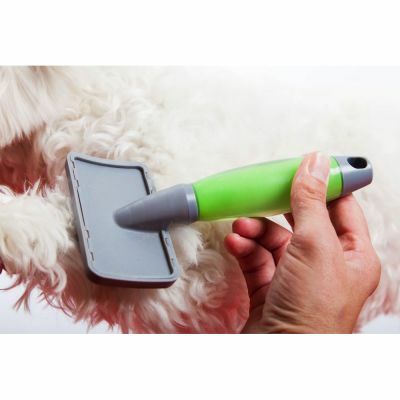 The bristles are rounded, so you can gently groom your dog without causing scratching or distress. Start combing by your dog’s top layer of hair and then brush the under layers. With regular grooming, your dog will soon have a shiny, soft coat that is in great condition. 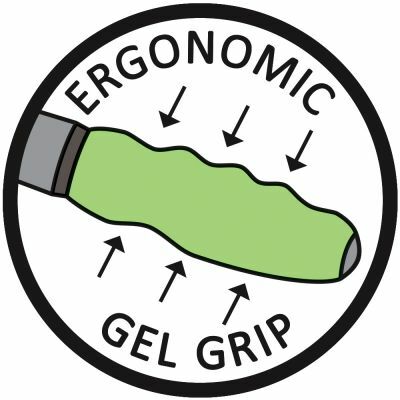 The soft, ergonomic gel grip fits comfortably in your hand, so even prolonged use of the brush doesn’t cause any discomfort. 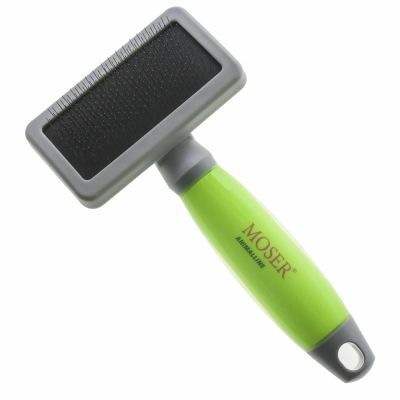 The Moser Slicker Brush is a professional grooming tool that is recommended by dog groomers!